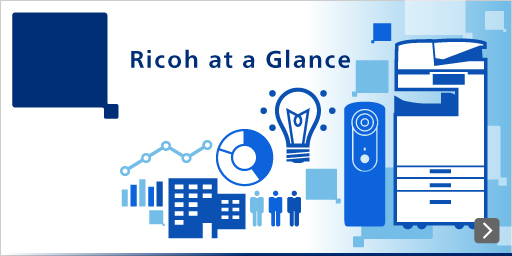 TOKYO, October 15, 2018 - Ricoh today announced that it has issued its annual report; the Ricoh Group Integrated Report 2018, which provides an informative overview of how the Ricoh Group creates new value. It is aimed at addressing the needs of all stakeholders, including shareholders and investors, and is presented in a concise and easy-to-understand format. With the new President of Ricoh taking office in April 2017, the Ricoh Group made a new start under its 19th Mid-Term Management Plan. During the fiscal year ended March 31, 2018, the first year of the Plan, the Group pushed forward with strategic changes and structural reforms for future growth, under the slogan of “Ricoh Resurgent.” In the current fiscal year, the second year, under the slogan “Ricoh Ignite,” the Group is leveraging the fruits of the reforms undertaken to date to deploy new strategies to reach challenging targets through Group-wide efforts. The Report presents the progress made under the 19th Mid-Term Management Plan and its growth strategy, together with an introduction of each business domain. The Ricoh Group Integrated Report 2018 is available on our website and in PDF. In terms of disclosure, Ricoh uses guidelines such as the International Integrated Reporting Framework by the International Integrated Reporting Council (IIRC), and the Sustainability Reporting Guidelines by the Global Reporting Initiative, in the creation of this report. 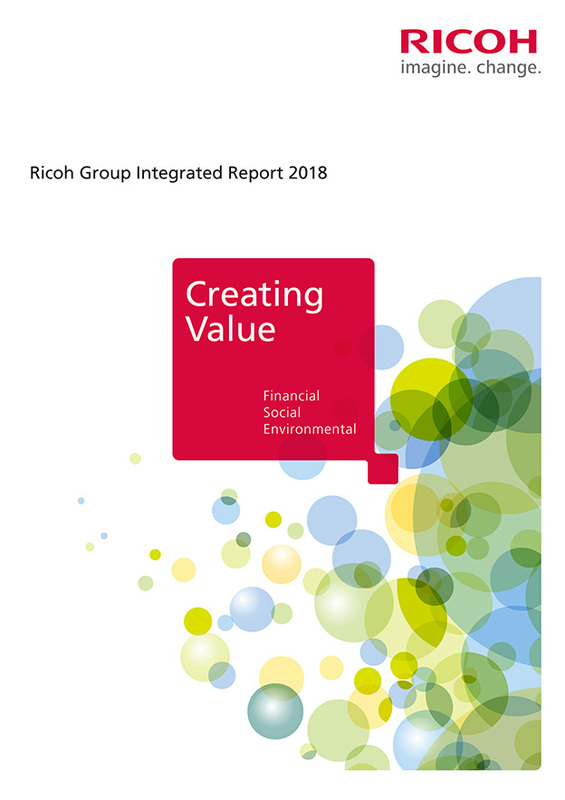 Through this Report, we hope to foster greater understanding and support on the part of all stakeholders for the many facets of Ricoh Group's business activities, and channel the resulting feedback into efforts to further improve management and enhance corporate value. *The Adobe PDF is the trademark or a registered trademark of Adobe Systems Incorporated in the United States and other countries.